With more than 60 million displaced people around the world, the old paradigm of refugee support and settlement is no longer viable. Permanent settlement in the West is not an option for the vast majority. We need a new global response, driven from civil society, which acknowledges the needs of refugees for temporary support as well as their obligation to return home when safe to do so to rebuild their homelands. Syrian refugees at Zattari refugee camp, Mafraq city, Jordan. The refugee crisis threatens security and cohesion in both developed and developing countries. It is stripping developing countries of their best and brightest, forcing them to seek refuge in the over-developed West. On both sides, it is robbing people of their cultural identities. Politically, it is driving voters in the developed world to xenophobia and helping repressive regimes in the developing world by removing critics and free thinkers from their homelands. As states struggle to respond to the refugee crisis, civil society must take the lead. We want individuals and groups around the world to lead the global debate on humanitarian obligations to refugees, and refugee obligations to their homelands. We’d like your voice to be heard. Sign up to support our Global Initiative on Refugees. It consists of five points which run counter to the moral confusion and short-term politics that surround the refugee issue. We believe these five points reflect mainstream civil society around the world – not necessarily the views of global institutions and INGOs – but grassroots people and communities whose voices on vital issues are rarely heard. Become involved in developing support for this Initiative. 1. Refugees who seek and are granted asylum should be given a Temporary Protection Visa for two years, renewable for a further two years until such time as conditions in their country of origin permit their safe return home. Refugee status does not mean permanent residency in the country of asylum. 2. Asylum seekers and refugees should be accommodated and supported in civil society by sponsor families, associations, communities and social institutions on conditions of bond or bail, not detained in state institutions or camps. 3. Refugees have an obligation to contribute to development and reconciliation in their homelands once it is safe to return home. This is especially true for people with education and skills. 4. Asylum seekers entering countries of potential asylum by boat should be intercepted and turned back to their ports of departure, to prevent mass drownings at sea. 5. 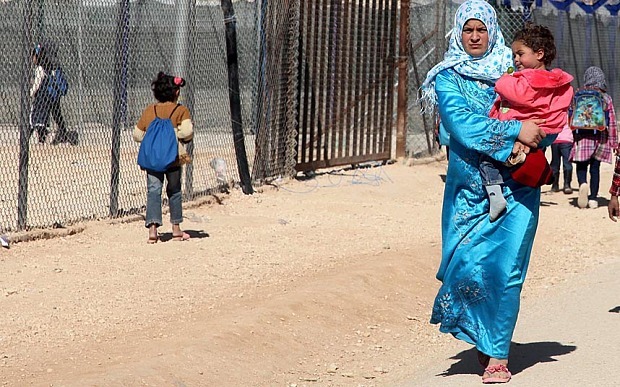 Resources from governments and civil society should be prioritised for provision of supports for refugees close to home, in countries such as Jordan, Somalia and Pakistan. Indicate your support by completing this form. Indicate if you wish to become involved in our campaign. I support the Global Initiative on Refugees. We need a new global response to this issue. I would like to participate in an International Steering Committee.